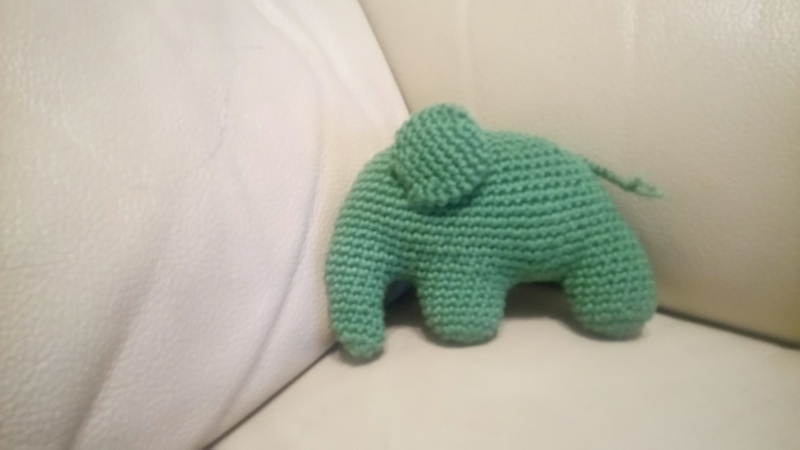 One of the ladies who comes to the Wool Haven crochet classes is interested in amigurumi and brought a pattern she purchased from Etsy to show me. Of course I wanted a shot at it. The only downside is it’s in US terminology but quite simple one once you get your head rounf the different terms and I think it’ a good one for beginners. I’ve worked it in Anchor Creativa Fina 100% cotton, using left over yarn from a previous project and it probably took about half a ball. I didn’t have any felt for the ears after my bow & flower making the last month so I adapted the ears from the previous elephant I made.